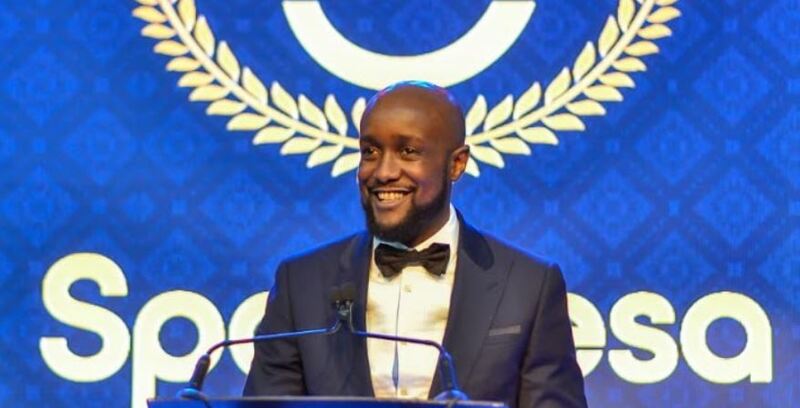 One on One With Sportpesa CEO Ronald Karauri: "Bet Only for Fun"
Sportpesa CEO Captain Ronald Karauri insists that betting is ideally meant for entertainment and not a means to earn a living. In an interview with the Star, Karauri explained what responsible betting is, his transition from aviation to betting, Sportpesa’s new partnership with a Formula 1 team, and more. Tell us about your career transition from aviation to sports betting. For me, it was a transition that had to happen because I had been in business before, even though I had flown for 10 years. I loved flying and I think it was something I was good at. When I was requested by the members of the SportPesa board, I thought it was very important that I get involved. In business sometimes, if you are not involved, you lose track of the business and you can easily lose control. As we can see today, this was a good choice for me, the right decision. At the time, people may not have seen the potential of where we would have been today. How much does SportPesa pay in taxes to the government? We contribute a significant amount in taxation. We are one of the highest taxed industries in Kenya. We’ve been in existence for the past five years. In 2014, our first year, we paid approximately Sh19 million; in 2015 Sh800 million; 2016 Sh3 billion; 2017 Sh3.5 billion; and 2018 it was Sh4.6 billion. Some critics feel you aren’t paying enough tax. Most people do not understand how our business works, from the common mwananchi to the policymakers. There are different types of gaming. For example, in a lottery, when you buy a lottery ticket for Sh100, that goes as revenue to the company until they pay out the prizes. With sports betting, when someone places a bet of Sh100, that money does not belong to us because you wait for the results of the game. If the guy wins the bet, you pay it back. It only becomes revenue when one loses the bet. Sometimes people look at their whole stake and consider that as our revenue, a perception that is completely wrong. We are the most highly taxed industry in Kenya, so the tax we pay is much higher than what we retain as earnings. What is the purpose of sports betting? Is it fun, do some people do it for a living? Sports betting is purely entertainment. Some people get the idea that they can make a living out of it and we discourage that completely. The idea of sports betting is to be a recreational activity for sports lovers. For example, if you are supporting a certain team and you put a stake on the game, you feel you are more involved in the game. Some fans or punters want to test their knowledge, to know who is playing, to know the history of the team so they place a stake, so that as they are watching the game, they feel more entertained. SportPesa has branded Everton T-shirts. What value do we get out of it as Kenyans? SportPesa is a Kenyan brand but at some point, to land on the moon, you have to shoot for the stars. SportPesa was always destined to become a big global company. Our expansion started opening offices, initially in England. Now we are in seven territories: England, Kenya, Tanzania, South Africa, Italy, Ireland and Isle of Man. As part of that global expansion, the international team saw that in the UK, we needed something similar to our sponsorships here for Gor Mahia, AFC Leopards and the SportPesa Premier League. We initially partnered with Arsenal and then Hull City and Everton as well. We had to ensure as a Kenyan brand, we bring some of that value back. So even though the business in the UK benefits from the shirt sponsorship of Everton, we brought back capacity building. You’ve seen Gor Mahia play Everton in Tanzania, Gor have played Everton last year at their home in Liverpool, and this year, Everton will be coming to Kenya again. I think the benefits are quite obvious now. There’s a big benefit when Kenyan football players, and that young boy playing football, can now aspire to a much higher level than they could reach before. Now you’ve also gone ahead to brand Formula 1 cars. What was the motivation behind that? As a Kenyan, I am very proud because Formula 1 is the biggest platform in terms of sports marketing in the world. So for a Kenyan brand to be on that level is an achievement that I’m very proud of. That decision was made by our global company and its marketing strategy. After Red Bull partnered with Formula 1 and had their own team, they doubled their worldwide revenue to almost Sh500 billion. In the territories where we operate, that propels us to another level in terms of marketing. The brand will be recognised globally. Which countries are the biggest for sports betting? England is a big one because if you go there, on many of the streets, you’ll see betting shops, and many other countries, like Canada, Australia and China. Kenya does not even come close. It is just a perception because of the way the brands have grown, especially SportPesa, that Kenya has reached that scale when we are not even close. What do you feel when you hear in the news someone has killed themselves because they lost a bet? That’s an interesting question that’s been asked before. This news of someone committing suicide happened maybe two years ago in Eldoret. We actually did an investigation on that particular case. What we found out was that it was a news item that had appeared online in a blog then somehow it found its way into the mainstream media. It was not a true story. If there was a problem, we would be having many such stories but there aren’t many. Because of the way the industry has grown, there are a lot of these perceptions and stories, but many are not factual. Tell us what responsible betting is. Responsible gaming is just ensuring people have control over how much they stake. As entertainment, or anything else, if you overdo it, if you abuse it, it’s always destructive. Even the food you need to live, if you abuse it, it’s destructive. So we encourage people to be responsible. People can check on the responsible gaming section on our website, where they can see the requirements or self-assessment issues and play within their limits. As a young entrepreneur, what tips can you give to young people to succeed in their hustle or their business? The biggest thing selling right now is people giving tips on how to succeed, how to make money and all that. The biggest thing I want to tell young people is nothing is easy, it takes a lot of time. People think I just woke up in SportPesa and made a lot of money, but what they don’t realise is that I’m an A student from Mangu. I became a pilot and flew planes for 10 years. I had some businesses that failed, but everything has its time. When you have your business, put all your focus into it and you will succeed. It has to be something you know. Don’t venture into something you don’t know. Sometimes as Kenyans, what we do is follow the crowd. You hear this has money; let me start my own company. If you have something you really know how to do, you can invest in it, put all your time, and I have no doubt you will succeed, but it’s not easy, especially entrepreneurship. It is a really hard road and a big risk to take. People should be aware that it’s never easy. It takes time and even for us, as I told you, we are still building and trying to get regulation right. With entrepreneurship, you need to be ready to take the risk and have long sleepless nights. You mentioned failure but many young people do not think they should fail. In fact, failure is so important. I grew up for most of my life as a perfectionist. So when you don’t have failure early in life, then when it comes, it will hit you so hard, you might never be able to recover. So failure is so important because it teaches you much more in life. For most of my life, even when I went into flying, the challenges were not as big as I thought. My biggest challenge came when I was the CEO of the Pilots Association. You can see what is happening at Kenya Airways right now. I could not control any of those challenges and I was very stressed, but it was a big learning point for me because moving forward you know how to deal with it. It gave me insomnia but if I had had those failures before, it would have helped me shape how to face those challenges and balance everything so that you are not so stressed. I think failure is so important because once you wake up from that failure, you might never fall down again.